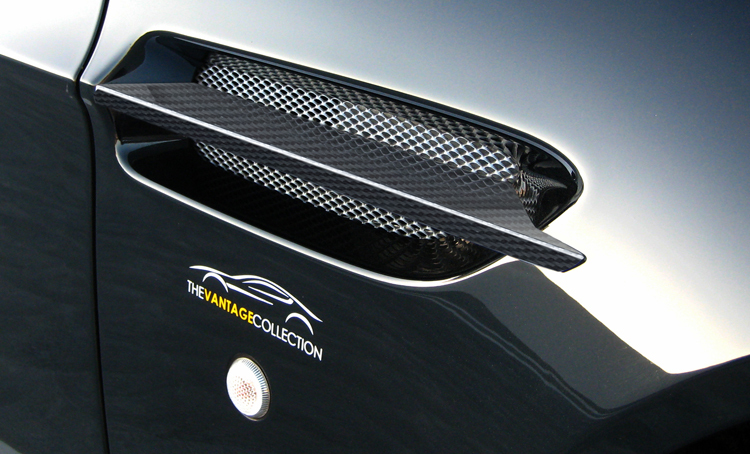 The carbon fiber side strakes have been developed to completely replace the current chrome side strakes that come with the Aston Martin V8 Vantage. Made from pre-preg carbon fiber, and finished in either glossy or matte carbon fiber, they give the car a more stealthy racing look. Sold as a pair.